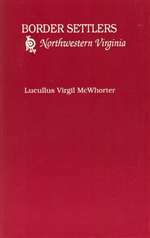 McWhorter was an early settler of the Hackers Creek area of WV. 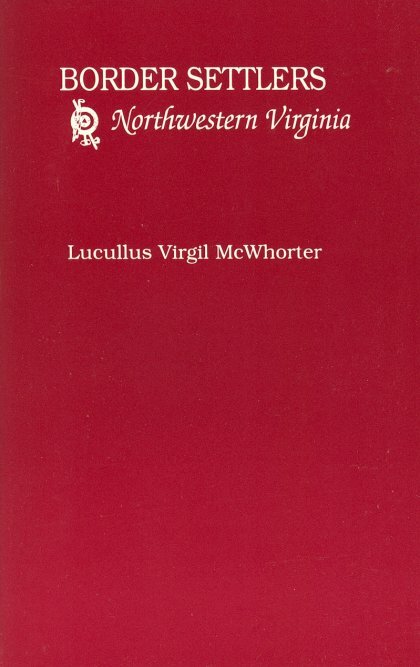 Written in 1915, McWhorter is a first hand resource for the history and lore of the area. His stories include the infamous Pringle Brothers living in the sycamore tree, various fugitives and hunters, numerous Indian encounters, and the life of the scout, Jesse Hughes. A rugged wilderness comes to life while reading of the adventures of the men that called early West Virginia their home. "When asked how he came to seek the wilderness and encounter the perils of sufferings of frontier life, he answered that he liked it and did not mind it a bit and in further explanation said that he was a poor man and had got behind hand and when that's the case, there is no staying in the settlements for those varmints, the sheriffs and constables, who were worse than Indians..."
"That after the King's Proclamation for all the settlers and surveyors to remove east of the big ridge from off the western waters, there was no white people on the west side except those who had run away from justice, and they were as free as the biggest buck a-going, and after the peace of sixty-three, it was all quiet in the backwoods..."
"He said that they lived quite happy before the Revolution, for then there was no law, no courts, and no sheriffs, and they all agreed pretty well, but after a while the people began to come and make settlements; and then there was a need for law; and then came the lawyers and next the preachers and from that time they never had any peace any more, that the lawyers persuaded them to sue when they were not paid, and the preachers converted one half, and they began to quarrel with the other half because they would not take care of their own souls, and from that time they never had any peace for body or soul, and that the sheriffs were worse than the wildcats and painters and would take the last coverlet from your wife's straw bed or turn you out in a storm, and I tell you, mister, I would rather take my chances and live among savages than live among justices and lawyers and sheriffs who, with all their civility, have no natural feeling in them..."